When you experiment with a low-carb or ketogenic diet, you may feel a little under the weather a few days into it. This groggy, lethargic feeling is referred to as the keto flu. It’s normal, and it will pass as your body gets used to running on fats instead of carbs. But if you want to kickstart the process so that you can feel the head-clearing, energy-boosting effects of a keto diet sooner—and support its maintenance—exogenous ketones may make a world of difference to you. 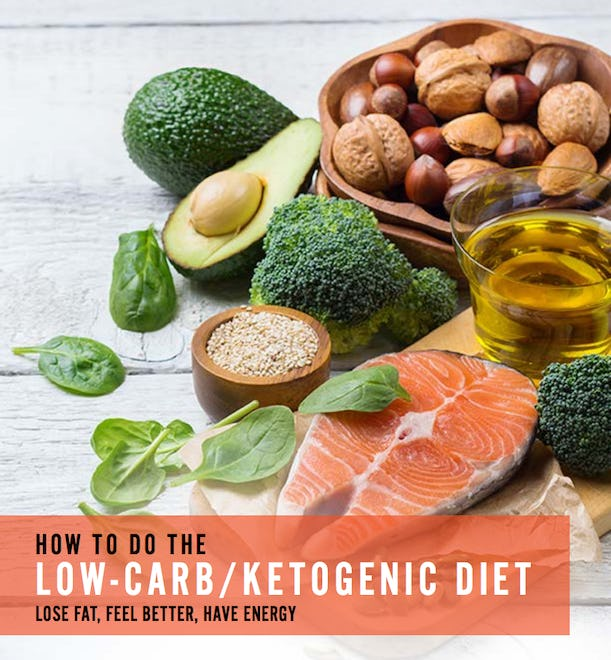 If you’re unsure of what a low-carb/ketogenic diet entails, catch up with our FREE ebook, which lays out the diet in detail. Then scroll down to see the role exogenous ketones play in it. Yeah, they sound like a Transformer (or maybe a Spartan king? ), but exogenous ketones are simpler to understand than they are to pronounce. They’re a synthetic version of a type of ketone your liver makes when you’re in a state of ketosis (when your body uses mainly ketones for energy)—specifically, the ketone beta-hydroxybutyrate (BHB). Exogenous ketones are available as a supplement, and come in two forms—esters and salts. If I Take Exogenous Ketones, Do I Have To Follow A Ketogenic Diet? It seems clear that supplementing with ketones can give you some of the benefits of being in ketosis, but following the diet is the only sure way to reap the rewards. A 2018 study showed that subjects taking BHB had lower blood glucose levels (apparently by limiting gluconeogenesis and increasing glucose uptake). The researchers declared that this effect did not appear to be driven by an increased insulin response. In fact, insulin sensitivity actually improved, suggesting that exogenous ketones may help support normal blood sugar levels. A 2016 review of five different studies indicated that supplementing with ketones allowed more fat to be burned during exercise, even when the subjects were eating carbs and had normal muscle glycogen levels. For these reasons, many nutritionists believe exogenous ketones can be a useful supplement to someone starting a strict ketogenic diet, helping to speed along his/her transition into ketosis. They may also be used to help a dieter get back into ketosis after a slip-up with an unusually carb-heavy meal. The theory: once you’re keto-adapted, your body will prefer ketones to carbs as a fuel source, so even if you eat carbs (now and then), your body will quickly revert back to burning ketones. But don’t be naïve enough to think that you can eat pizza, drink beer, or otherwise bomb your cells with carbs and stay in ketosis just because you’re drinking ketones. After all, a supplement is only intended to supplement the good choices you’re already making. Can Exogenous Ketones Help With The Keto Flu? One of the main reasons people experiment with supplemental ketones is to shorten the period of time it takes to feel the full benefits of ketosis and to escape that run-down, foggy-headed feeling that comes during the transition. The main cause of the keto flu is thought to be dehydration, which research indicates is one important and potential drawback of a ketogenic diet. Every gram of carbs that’s stored in the body retains two to three grams of water, so depleting your carb tank quickly drains you of a lot of fluid—you’ll pee it out. This is partly why people notice themselves leaning out just a few days into a low-carb diet, before they’ve lost any significant amount of body fat. 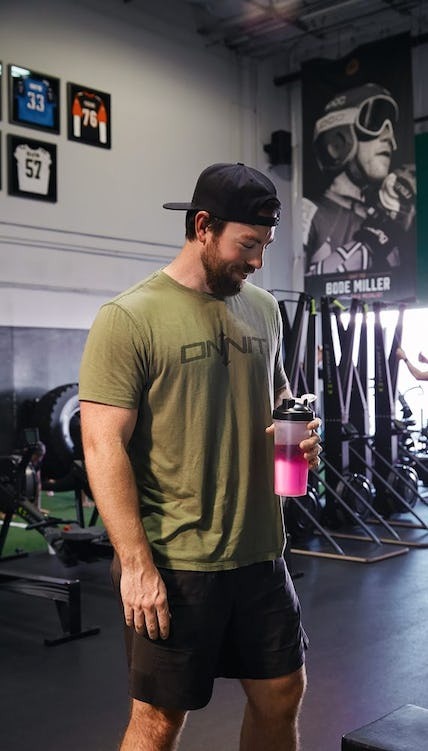 Studies show that with the loss of water go electrolytes, so just as a hot day that makes you sweat a lot can leave you tired and unable to focus, so can the early stages of ketosis. Since ketone salt supplements contain electrolytes, they help restore the fluid balance in your body. Ketones may also act on the brain directly. In a 2018 review, researchers found that exogenous ketones may actually hinder the body’s production of its own ketones at first, probably as the result of the influx of ketones from an external source. But the rapid and substantial elevation of ketone levels that comes from supplementation may actually help support mood and cognitive performance, thereby helping to offset the uncomfortable initiation period while your system is switching gears. It’s a matter of taking one step backward to then take a giant leap ahead (that is, slowing your own ketone assembly line temporarily to dramatically ramp up progress overall). The researchers speculate that easing the discomfort of “keto-induction” may help people maintain adherence to the ketogenic diet long term. Can Exogenous Ketones Help Me Lose Weight? Ketones are sometimes peddled as a fat-loss supplement, but that may be wishful thinking. 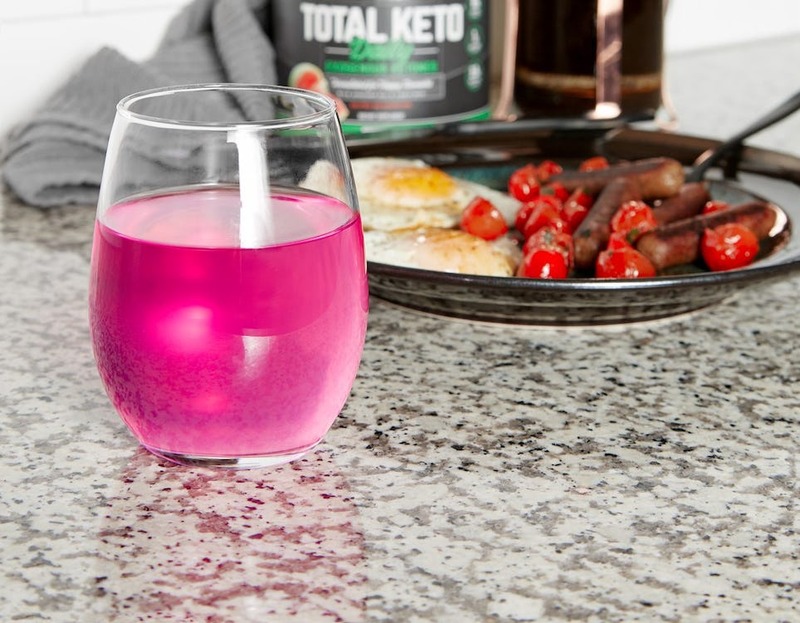 Unlike fat-burning products that contain great amounts of caffeine (which, ahem, we don’t recommend), exogenous ketones don’t do anything to increase the metabolism directly. They simply help your body to burn more ketones, which are derived from fat. With that said, there is some encouraging research to suggest that supplementing ketones may help weight-loss efforts on a few different fronts. A 2017 trial found that BHB aided in lowering subjects’ blood glucose levels, producing a smaller insulin response. The less insulin you release, the fewer calories that your body will store as fat. In 2018, the journal Obesity reported that people (of normal weight) who drank a ketone beverage after an overnight fast were half as hungry as those who consumed a sugary drink. The reason: the ketones seemed to suppress ghrelin, a hormone that induces hunger. However, unlike water or fiber, ketones contain calories—four per gram, just like protein and carbs. So loading up on ketones as a meal replacement could have the same effect as eating real food and won’t save you any calories. Can Exogenous Ketones Help With Exercise Performance? A common concern among active people and athletes who go keto is how the lack of carbs will affect their energy levels in training and competition. As we reported in our keto guide, research shows that once the body is fully adapted to running on ketones (a process that can take months), performance may be no different than when the athlete was eating carbs. It appears that exogenous ketones could help to make a keto athlete do even better. New research from Ohio State University demonstrates that taking exogenous ketones along with caffeine may actually boost high-intensity exercise performance in keto-adapted people. Subjects experienced increased time to exhaustion and greater VO2 during exercise. In the mid-1800s, scientists thought ketones were a dangerous metabolic byproduct, because they were discovered in patients with diabetic ketoacidosis—a condition where acids build up in your bloodstream, the result of chronically high blood sugar levels. But research has shown that these fears are unwarranted. We now know that ketones are a safe and natural energy source, synthesized by the liver. In fact, according to research in the American Journal of Physiology, they may be the preferred fuel source for the brain, as the brain will burn ketones even in the presence of glucose. This helps explain a 2015 study from the University of Waikato that found that exogenous ketones offered a mild boost to mental performance according to the results of various cognitive tests, including measures of reaction time and memory recall. However, if you have high blood pressure, you may need to avoid exogenous ketones, or at least ketone salts, as the salt content could aggravate that condition. Some users also report that exogenous ketones can be hard to digest, resulting in nausea and upset stomach. It may help, then, to buy a ketone product that also contains a prebiotic fiber, which can assist in digesting BHB better without affecting blood sugar levels.